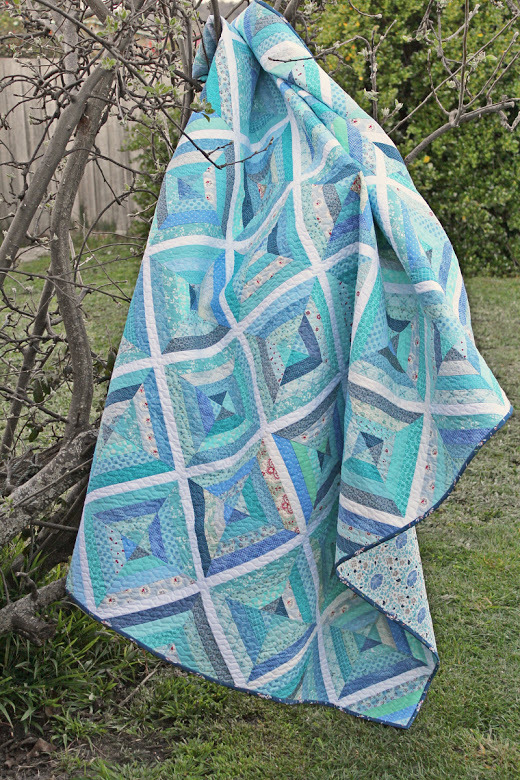 This Little Blue Lake Quilt Designed by Rose Johnston of Threadbare Creations, The Tutorial is available for free. "I quilted my Little Blue Lake Quilt with some serpentine stitching spaced at 1/2" intervals. It perfectly replicates the ripples you see on the lake when there's a gentle breeze, and once its washed its going to crinkle up beautifully."